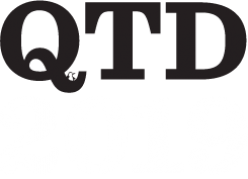 The Summer School on Engineered Quantum Systems (EQS2019) is organised in conjunction with the QTD2019 conference. The School will take place immediately after the main conference (June 28 -30) at downtown Helsinki. Welcome! Provide a relaxed environment to learn about engineered and open quantum systems such as superconducting circuits, and related topics in quantum thermodynamics. It works as a forum to meet students in the community and exchange ideas. The school is optimized for participants at the graduate student level with the basic quantum mechanics courses completed. However, we also welcome bright younger students and postdocs interested in the topic. The school aims to give an introduction to the experiments and theory relevant for engineered quantum systems with an emphasis on quantum-mechanical electric circuits. On one hand, these can be used for designed experiments studying fundamental physics. On the other hand, superconducting circuits constitute the most promising candidate to date in building a large-scale quantum computer.